Architectural Concrete features have the ability to make your project stand out from the crowd. McAlvain Concrete has been forming, placing and finishing custom architectural concrete features for over 30 years. 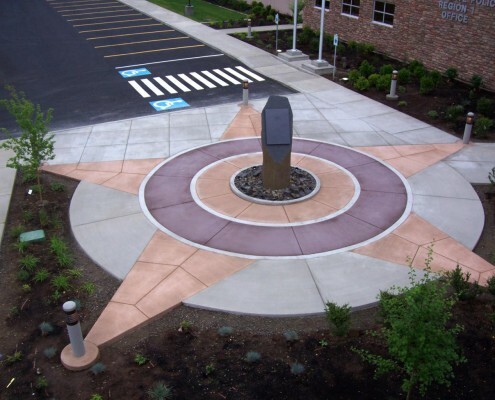 Our broad experience with colored concrete, form-liners and other custom concrete finishes make the McAlvain the best choice for your custom concrete needs. Our capabilities include preconstruction services, engineering, detailed formwork drawings and the best possible service to provide the right aesthetic for your next project.